Sunscreens work by using UV filters to deflect or absorb harmful UV rays so that we don’t burn. The two main UV rays we are concerned with when it comes to skin cancer and premature ageing are UVA and UVB rays. UVA rays penetrate deeper into our skin, so we associate them with premature ageing damage. UVB rays absorb into the more superficial layers of our skin, and as such are to blame for sunburn. Both UVA and UVB are responsible for our increased risk of skin cancer. You may hear people talking about ‘physical’ or ‘chemical’ sunscreens, and we understand if you are confused about what that actually means. Aren’t all sunscreens the same? No. The difference lies in what types of filters they use. Physical sunscreens use physical UV filters that deflect UV rays. Titanium dioxide and zinc oxide are physical UV filters that together protect our skin from both UVA and UVB rays. Chemical sunscreens use chemical filters that absorb and scatter UV rays. There are many approved chemical filters available to us today, and will usually be in a combination that gives full UVA and UVB protection as well. These days you will also find sunscreens that contain a combination of both physical and chemical UV filters. SPF stands for Sun Protection Factor and is a measure of how much time a sunscreen will adequately protect you from sunburn (UVB rays)….provided you apply enough! Most people don’t apply the amount of sunscreen needed to fulfil its SPF ability. You need to be liberal with sunscreen application- use a teaspoon amount to cover the face and neck. Sunscreen also needs to be re-applied after a few hours, or when you have been sweating or swimming. Factor 15 creams protect against 93% of UVB. 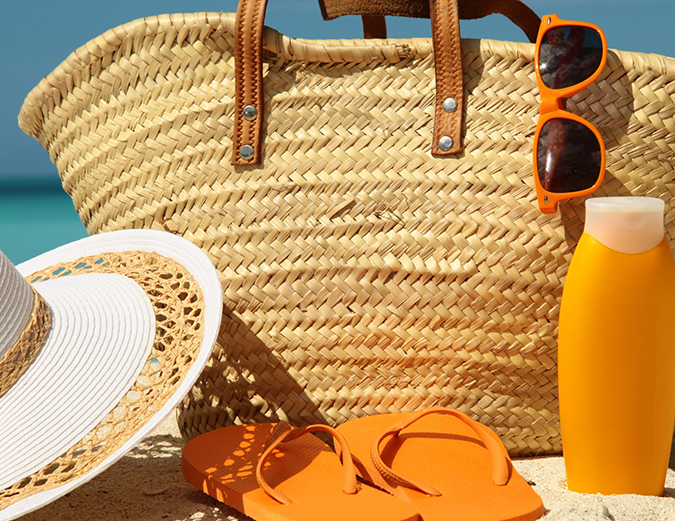 Factor 30 creams protect against 97% of UVB. Factor 50 creams block out 98% of UVB. As you can see there is very little difference in their UVB blocking ability, and the SPF rating doesn’t take into account how effective they are at protecting against UVA rays. SPF 15 creams allow someone to stay in the sun 15 times longer than if they weren’t wearing it. But this time is different for all people. You may start to burn after 10 minutes, so SPF 15 would theoretically give you 150 minutes, or just over 2 hours of protection. SPF 30 would give the same person 300 minutes, or 5 hours. SPF 50 creams would give that same person 500 minutes, or about 8 hours. But remember- most of us don’t use enough sunscreen and so we won’t actually be protected for that long. Apply your sunscreen liberally, and regularly top up your application every few hours. The other point to consider is that Australia receives harsher UV damage because of our weakened ozone layer. We burn easier here because there is more UV flooding into our atmosphere. We also recommend you apply your sunscreen 20 minutes before going outside or into the sun. Physical sunscreens will take immediate effect on your skin but chemical filters do require this time to activate. To be safe, try to apply your sunscreen 20 minutes before leaving the house. So which sunscreen is best for me? One isn’t necessarily better than the other, it all comes down to what you like to use and how you use it. Traditional physical sunscreens containing zinc oxide are thick, sticky and leave a white residue on our skin. However, technology has advanced over the years and the market is now flooded with physical sunscreens containing micronized zinc. These small particles of zinc oxide give us the same UV protection without leaving a white residue on the skin. Some people may find their skin to be sensitive to chemical sunscreens, and so may only be able to use physical sunscreens. Some sunscreens are combined with a moisturiser so they appeal to people who feel they are buying two products in one. The main concern we have is ensuring our clients will actually use the sunscreen they purchase. You need to like the feel of it on your skin, and be happy to use it every single day. Therefore, we stock a range of both physical, chemical and combination sunscreens to suit all skin types and personal preferences. All of our sunscreens will give you full UVA/ UVB coverage. Some are water resistant, some contain moisturising agents and some double as a makeup. None of our sunscreens leave a white residue on the skin and none of them clog your pores. We have a selection of cosmetic sunscreens that are formulated for maximum broad spectrum UVA/UVB protection, with a sophisticated light texture so you won’t even know you are wearing one. A hydrating lotion for the face and body that gives full UVA/ UVB protection. Suitable for all skin types, Actinica lotion does not contain any artifical fragrances. Daily use of Actinica lotion in conjunction with a skin care regime may prevent premature skin ageing. A face and body chemical sunscreen with added vitamin B3 for hydration and pigment reduction. This light weight cream absorbs well and doesn't leave any sticky residue on the skin. Suitable for all skin types. A moisturising, physical sunscreen containing zinc oxide as well as hyaluronic acid for hydration and vitamin B3 to target pigmentation. Micronized zinc particles mean you get full UVA/UVB protection in a lightweight cream that leaves no white residue on the skin. Great for acne skins because zinc is also a healing agent. 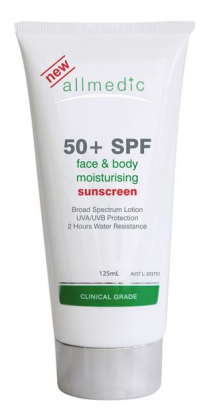 A chemical sunscreen that offers broad spectrum coverage and is 4 hours water resistant. Suitable for the face and body, ENVIROSTAT is dry to the touch, lightweight, and fragrance free. 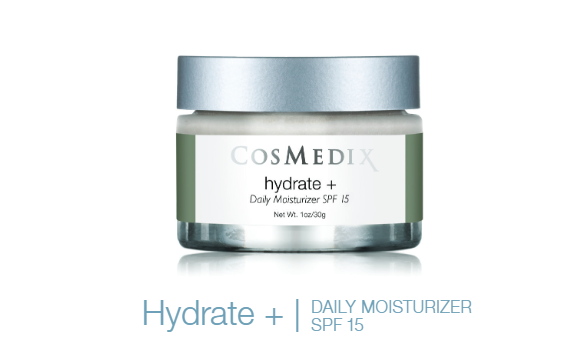 Strict FDA guidelines mean Cosmedix label Hydrate + as SPF15, when it is actually a 50+. A daily moisturiser with sunscreen protection, you have full coverage against UVA/UVB rays. Suitable for all skin types, Hydrate plus contains zinc oxide and added antioxidants to fight sun damage and pollution. Strict FDA guidelines mean Cosmedix label Reflect as SPF15, when it is actually a 50+. An oil free moisturising spray suitable for the face and body. 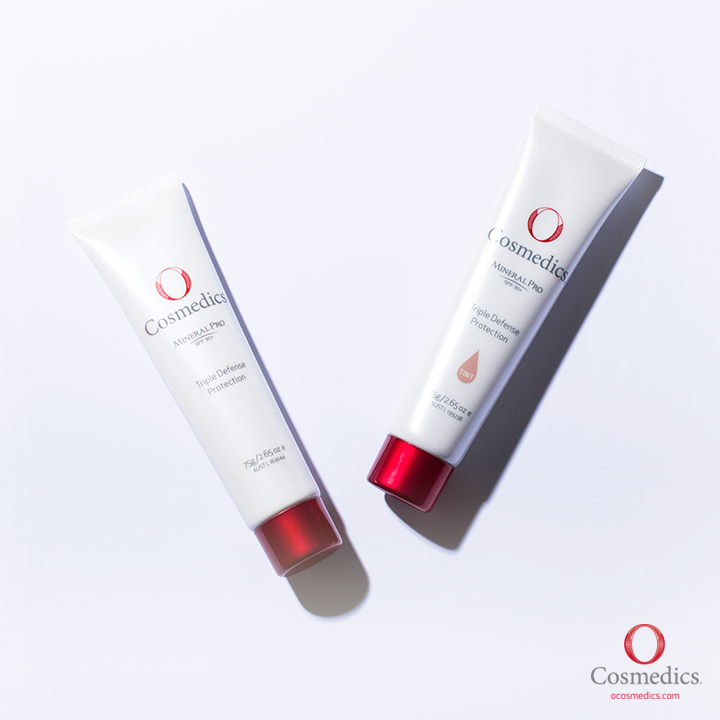 Micronized mineral titanium dioxide protects as your physical UV filter, while peptides and antioxidants offer additional anti-ageing benefits. A physical brush on powder sunscreen that gives full UVA/UVB protection while offering make up coverage. Zinc oxide provides additional healing properties making Colorescience a great option for sensitive and acne skins, or post-procedure skins. Suitable for all skin types, you are able to top up your sunscreen during the day with a hassle-free brush on application. A daily moisturiser with 20% zinc oxide that gives you broad spectrum protection. With added antioxidant resveratrol, your skin can protect itself better from harmful UV rays. 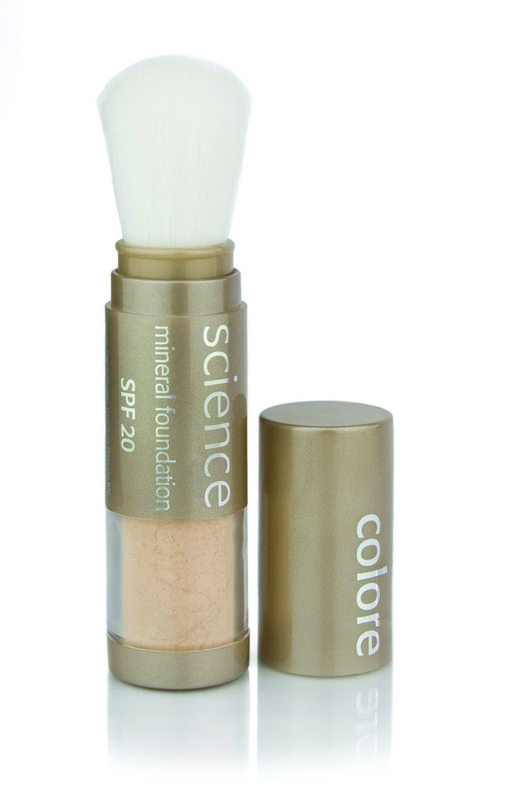 Mineral Pro comes in a non-tint as well as tinted colour correcting cream, and is light weight and fast absorbing.